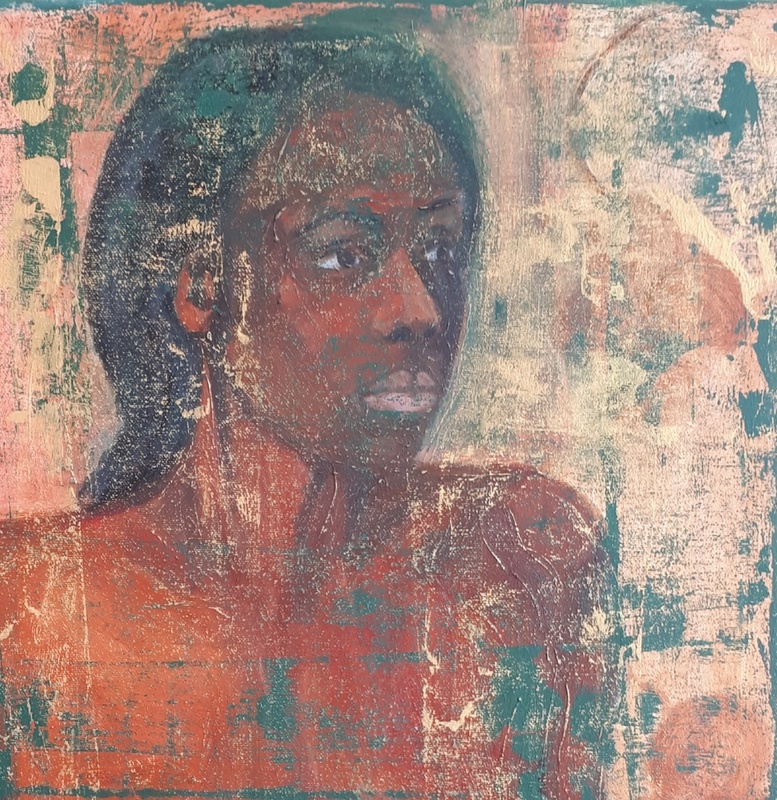 Outpost celebrates a summer exhibition of paintings and drawings by London-based artist Geraldine Crimmins, exploring the freedom in creativity through the relationship between figuration and abstraction. People, interiors and landscapes are transformed into new ways of seeing space and form, with expressive marks and vibrant colours. Geraldine says, “I’m driven by the use of unconstrained brushwork, colour and shapes, influenced by the modern art style of the fauves (wild beasts). I love working with people and capturing aspects of personality in facial expression, bodily gestures, and attitudes. My newest paintings are entirely abstract, removing obvious reference to the real world and giving me more freedom to experiment”. I’m an artist and photographer, once a homeless addict, with COPD and PTSD. Painting and voluntary work helped me to recover and re-enter society. I’m currently artist in residence at Diorama Arts Centre, and volunteer with Café Art UK. I’ve had a chequered life with long periods of addiction and recovery. I was previously a successful business woman and psychotherapist, but lost everything due to poor mental health and addiction, and became homeless. I believe creativity is food for the disabled and damaged. 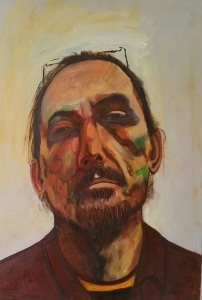 I started painting ten years ago whilst in prison for a drug offence. Art gave me a way to escape, and a fantastic tool to help cope with problems. I put a watercolour in an exhibition and six people asked to buy it, giving me new confidence. The overwhelming result of art is that it has given my life a renewed meaning and purpose. I started re-building my life and got back into learning. I studied art at Hampstead School of Art, Crisis Skylight, Westminster Adult Education Service (WAES) and the Mary Ward Centre. I became a professional artist in 2017, when I realised that others appreciated my work enough to buy it, and from winning awards and being offered two exhibitions. 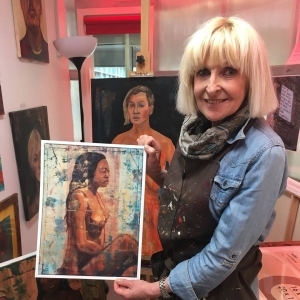 PBHA is proud to provide a platform for Geraldine to showcase and celebrate her work at Outpost, our social enterprise shop and gallery, as part of our Big Lottery funded Enterprising People – Supporting Makers programme. We provide one to one tailored support for talented artists and makers from North an East London experiencing barriers to inclusion. This could be through disability, poor mental health, homelessness, drug or alcohol issues, or multiple support needs. Participants gain opportunities to develop, exhibit, promote and sell their creative work. Connecting with the wider community through art helps people to grow in confidence and to achieve their aspirations.